Then Johanan the son of Kareah and all the leaders of the forces with him took from Mizpah all the rest of the people whom he had recovered from Ishmael the son of Nethaniah, after he had struck down Gedaliah the son of Ahikam—soldiers, women, children, and eunuchs, whom Johanan brought back from Gibeon. 17 And they went and stayed at Geruth Chimham near Bethlehem, intending to go to Egypt 18 because of the Chaldeans. For they were afraid of them, because Ishmael the son of Nethaniah had struck down Gedaliah the son of Ahikam, whom the king of Babylon had made governor over the land. In the once popular game show, Who Wants to Be a Millionaire, the contestants were challenged to answer fifteen trivia questions; and if successful, they would win one million dollars. The questions would increase in difficulty as the game went on, so one of the gimmicks of the show was that each contestant would have three “lifelines” that they could use to help them if they faced a question they were unsure about. Throughout the history of Israel, every time they faced difficulty, one of the first “lifelines” that would immediately come to mind was to go back to Egypt. When Israel was in the wilderness, heading to the Promised Land, they would talk about going to Egypt any time they faced difficulties or setbacks. And here again, in Jeremiah, as Israel was falling apart the people speak of going to Egypt—it was their first lifeline. Egypt represented survival and security for Israel. 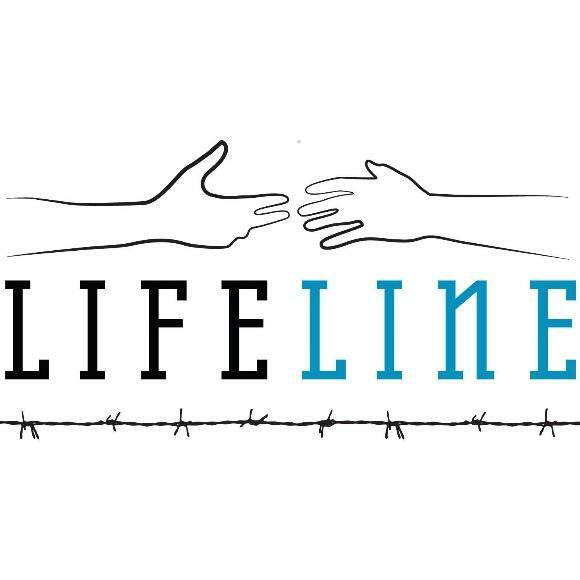 When it comes to facing difficulties or setbacks in your life, what is your lifeline? For some of us, it is a resolution to work harder or to turn to friends or family for help; while for others, it is to escape with media or videogames. Whatever they are, it is our means of coping and dealing with our struggles; but the lifeline that God offered Israel—and that He offers us—is His presence. The primary reason that Israel was facing trouble in the first place was that she had neglected to turn to God as their lifeline. God wanted to give life and joy to His people in the Promised Land, but again and again they turned to other things or sought to escape to Egypt. Let us not follow the example of the Israelites, but instead let us strive to seek God’s presence as our source of life! Prayer: God, today I seek Your presence and the life that You offer me. I pray that I will not turn to anyone else or anything else for joy but that I will turn to You first. Fill me with Your presence. Amen. Read Isaiah 55:1-3: 1 “Come, everyone who thirsts, come to the waters; and he who has no money, come, buy and eat! Come, buy wine and milk without money and without price. 2 Why do you spend your money for that which is not bread, and your labor for that which does not satisfy? Listen diligently to me, and eat what is good, and delight yourselves in rich food. 3 Incline your ear, and come to me; hear, that your soul may live; and I will make with you an everlasting covenant, my steadfast, sure love for David. This passages talks about spending and laboring on “that which is not bread.” What are some examples of this kind of “bread”? What is the result of laboring for this “bread”? What is the good and rich food that God offers us? What makes is so good? How have you experienced the “rich food” of God in your life? Reflect on how God’s love has been good and satisfying in your life. Spending money and laboring for “that which is not bread” is essentially putting faith or trust in anything or anyone that is not God. It leaves people thirsty, hungry, and weary, when they pursue or “eat” anything but what God offers. What God offers us is His covenantal love (v. 3)—and He offers it to us for free! The appeal in this passage is to come, buy and eat “without money and without price” (v. 1). Not only are we satisfied by this food, but it brings life to us. Tonight, think about how things of this earth have left you feeling thirsty and hungry; on the other hand, think upon the goodness of God in your life. God freely and lavishly offers us His life-giving presence and love. Let us receive Him tonight.